Cruise & Maritime Voyages (CMV) announced a new selection of multi-generational cruises in 2018 ideal for regular cruisers to take their children or grandchildren on holiday in the half-term and school holidays. Passengers who travelled with their grandchildren in 2017 spoke of the benefits of cruising as a way of reducing the amount of time their grandchildren spend in front of a screen. Take the off-spring away during the Easter Holidays to Amsterdam, the Channel Islands and France, during Spring half-term to the Norwegian Fjords or in the Summer Holidays to Spain, Portugal and Gibraltar with fares from £509pp and child fares from just £99 that’s just £1,216 for a family of four*. During the Easter Holidays, families can step aboard Magellan for a special Easter getaway cruise. Passengers can discover hidden gems with the opportunity to visit some beautiful gardens including the Keukenhof Gardens from Amsterdam, Claude Monet’s Garden in Normandy and Tresco’s Abbey Gardens. Combine this with the charms of some contrasting and elegant cities together with a panoramic navigation of the River Seine, for a truly delightful springtime cruise. Magellan sails from London Tilbury 31 March 2018 on the Easter Getaway & River Seine cruise for 7 nights from £509pp with child fares from £99 per child. 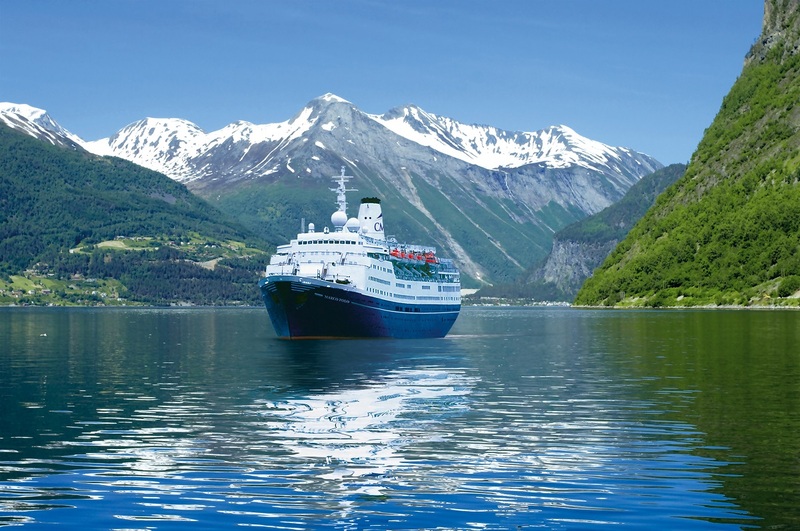 Grandma and Grandad can take the grandchildren to Norway’s dramatic coast on an early summer cruise during the Spring half-term break. Sailing into peaceful fjords where steep, tree covered slopes rise up to spectacular mountains, and majestic waterfalls cascade to the rocks below will feel like a journey onto the set of Frozen the popular children’s film. Families can experience the breath-taking beauty of the Fjordland scenery, explore the quaint charm of country villages, and walk through the history of old Bergen. This will be an experience the grandchildren will remember for years to come. Columbus sails from London Tilbury 30 May 2018 for 7 nights on the Whitsun Fjordland cruise from £554pp with child fares from £99 per child. In the Summer Holidays, passengers can take the grandchildren to Spain, France and Portugal for a dose of Summer sunshine and cultural enlightenment in equal measure. Sailing from Liverpool on 29 July 2018 this southbound cruise calls at La Coruña for the chance to visit Santiago de Compostela, Cadiz for the chance to visit the Andalucian capital Seville, Gibraltar for the chance to do some sightseeing of the famous Rock, Lisbon for all the excitement of a capital city and La Rochelle one of the most attractive towns in France. Magellan departs Liverpool for Spain, Portugal & France on 29 July 2018 for 12 nights from £921pp with child fares from £199 per child. The fares quoted are based on two people sharing a twin inner cabin with two children and include delicious full board cuisine, afternoon teas and late-night snacks, Captain’s Cocktail Party (cruises of 6 nights or more), complimentary tea & coffee 6am to midnight, big show entertainment, cabarets and classical interludes, daytime activities and leisure facilities, guest speaker and arts & crafts (cruises of 5 nights or more), porterage of luggage, port to cabin and port taxes. For greater convenience CMV operate an automatic tipping system on board, so instead of worrying how much and when to tip, an amount of £5pp per night will be debited to the passenger’s on-board account.